It’s only late afternoon on 18 December 1982, but dusk is already setting in as the shortest day of the year nears. 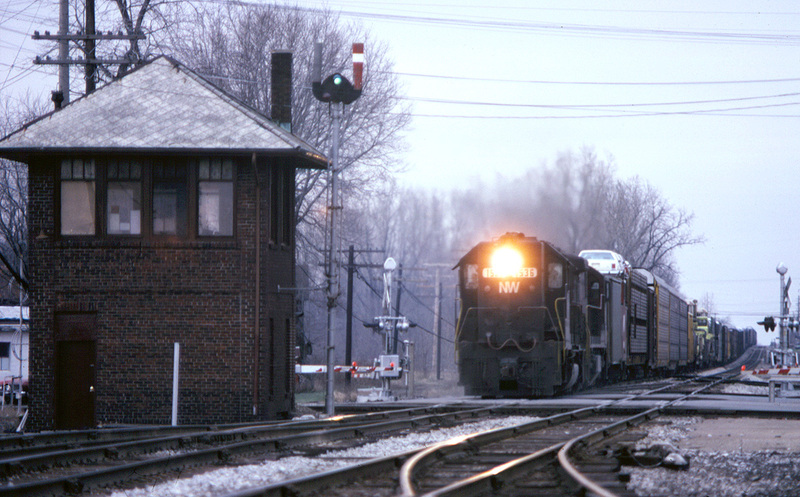 N&W train SC-1, the “Super Charger” from Detroit to Kansas City, disturbs the quiet of small-town Milan, MI as it races down the hill approaching the N&W’s Milan Tower. The noise of the locomotive’s horn and bell will quickly be replaced by the clatter of wheelsets passing over the Ann Arbor Railroad diamond in front of the tower. Then, as quickly as the train approached, it will be gone, and peace will return.